Start your Witchcraft Herb Altar Kit off with this amazing deal of 60 different herbs and have every herb for spells you need! You CAN MIX AND MATCH ANY OF THE HERBS FROM THE LIST BELOW! You can get 2 of each herb if you want too! However you want to do it, you choose a total of 60 2x3 bags! 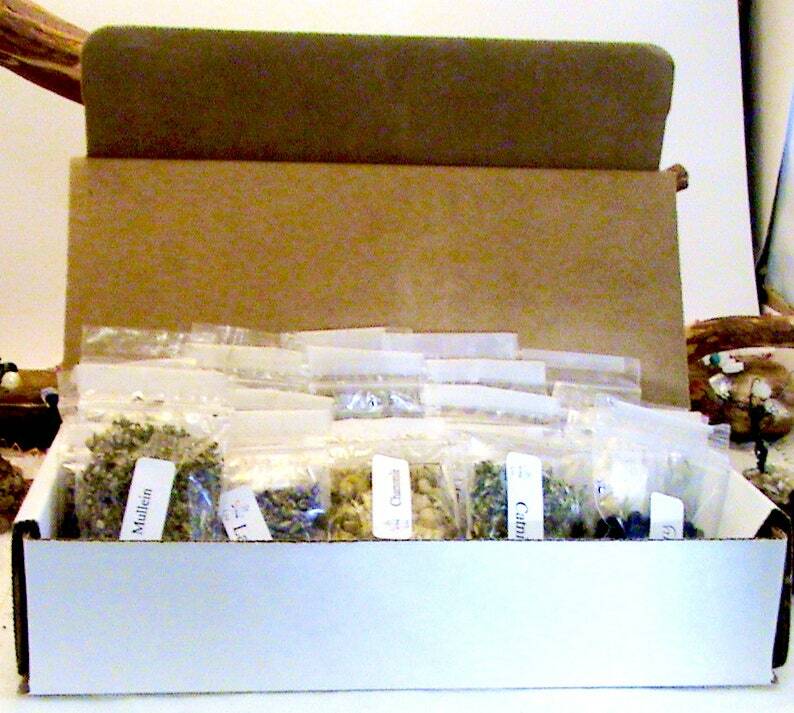 Choose 60 different herbs and receive them in two premium white herb boxes for easy storage! Please type your herb selection in the message to seller box! CHOOSE FROM THE HERBS BELOW OR LET ME CHOOSE THEM FOR YOU!